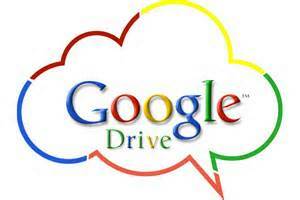 Google Docs allows the user to create documents, spreadsheets, and presentations for free in a web based application. The application allows you to create, edit, and save documents much like Microsoft Word, Excel, and PowerPoint however there is no cost associated with using the Google service. In order to use this service, you must have a Google account that can come from a Gmail account or you may actually set up a Google account using any email and password of your choice (such as employee@companyabc.com). Save documents to your hard drive in formats that can be opened by MS Office Applications including DOC, XLS, PPT, plus PDF’s. In theory, it does seem very possible to make the switch from MS Office to Google Docs. Most of the necessary components are included, and the fact that it is free can be very appealing to a firm spending tens or even hundreds of thousands monthly on an MS Office enterprise usage agreement. Google Docs is also a great low/no cost alternative for startups, solo practitioners, or low-budget organizations such as Legal Aid Offices. -It seems, for now, that users are resistant to change and it comes down to the fact that companies are comfortable using MS Office, they are already using it, and they just don’t seem to have the itch to switch at this time. The thought of NOT having Outlook on your desktop with the full Microsoft Office Suite is just not something the masses seem prepared for at this point.